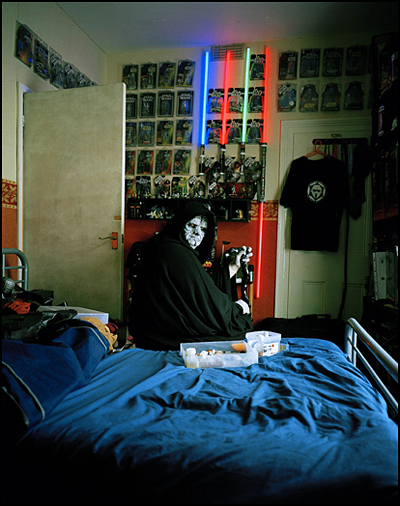 My practice is concerned with exploring the fascination that the British public has with American popular culture and the sub-cultural world of fandom. 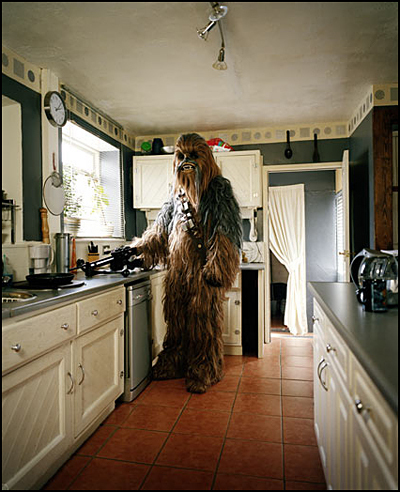 In the images, I have shown people in their own homes and environments wearing costumes that they would be dressed in to attend events with other like-minded individuals. 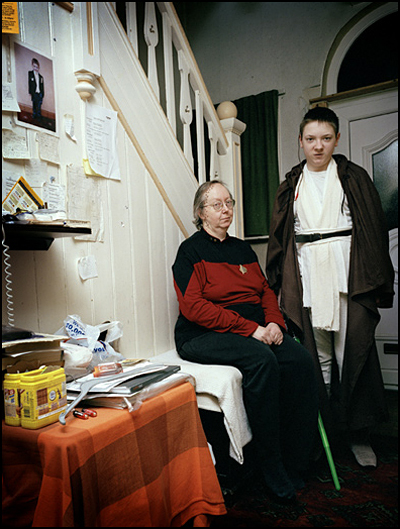 It seeks to offer a glimpse into seemingly ordinary lives of my subjects and allows the private to become public. The work hints at the depth of people’s fantasies and the methods they employ to adopt this culture as part of their own lifestyle as a means of escapism. 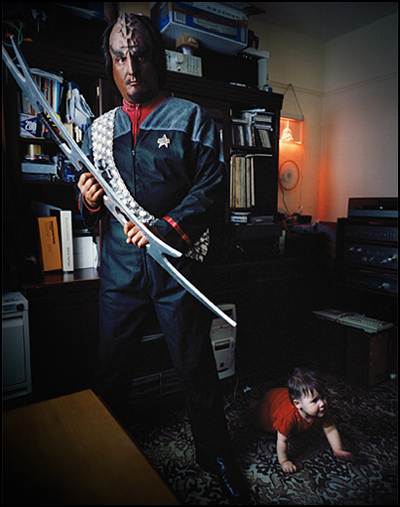 What I want to know is… how the hell do you baby-proof your bat’leth?